Colonsay Gin takes its inspiration from a mixture of Celtic folklore and the natural Hebridean beauty of the island of Colonsay on the West of Scotland. Come and meet the maker, Eileen Geekie and hear all about their remarkable family business, their Gin Lover’s Retreat and best of all, taste their gin. Hand-made in small batches of 160 bottles by husband and wife team, Finlay and Eileen Geekie, Colonsay Gin is all about a sense of place and the heartfelt passion of those who make it. In 2017 Fin and Eileen packed up all their worldly possessions, left behind the hustle and bustle of Oxfordshire, where they’d lived for over 30 years, and moved to the remote Hebridean island of Colonsay. 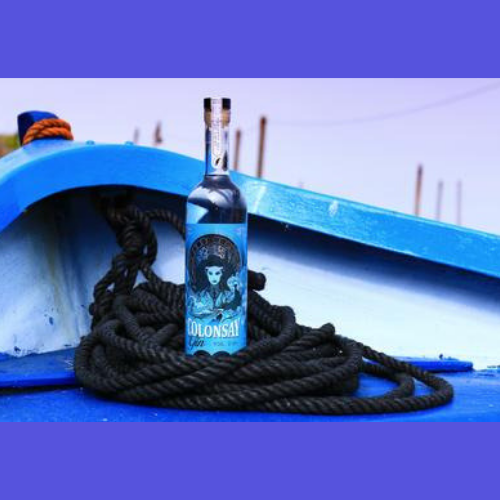 Come and find out more from Eileen and taste their original Colonsay Gin and delicious Bramble Liqueur.